FCPS Archives - Read. Think. Act. 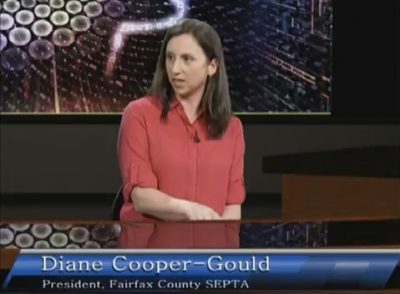 (Aug. 1, 2018) Catherine Read sits down with FCPS Providence District School Board member Dalia Palchik. Dalia speaks candidly about her background as an immigrant coming to this country at the tender age of six, and about her experience as a non-English speaking student in Fairfax County Public Schools, as well as the work she is doing to help all students in the county in her current role as School Board member. Dalia’s family immigrated to the United States from Argentina In 1992. She, along with her mother and siblings, came to the United States to meet her father who had been working here in Virginia. They were thrilled when they were finally granted citizenship, and had the opportunity to build a better life for themselves in Virginia. As they assimilated to their new country, a new language, and a new life they worked hard to navigate the system and learn a new culture. Dalia entered school speaking no English, and received ESOL (English for Speakers of Other Languages) services. She is thankful for her wonderful teachers, and for having the opportunity to come to this country. As her family settled in and adjusted to life in America, it was Dalia who learned how to navigate the ins and outs of the school system and help her parents understand the culture of the school, how it all worked, and how to access opportunities. She felt as if she were the parent in their relationship at the time. 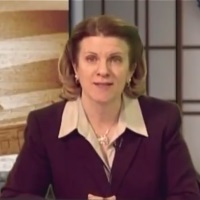 Dalia eventually went on to graduate from the prestigious Thomas Jefferson High School, and earned a scholarship to Tufts University, where she majored in International Affairs. Professionally, she traveled all over the world to help organizations tackle the big issues of poverty and hunger. After a long stint away from home, Dalia returned to Fairfax County, and looked around at the ever growing diverse community here in Fairfax had an epiphany about how she could make an impact.As she is fluent in 4 languages (English, Spanish, French and Italian), Dalia became language teacher and eventually ran for School Board, in the hopes of giving all kids the same excellent opportunities that she had as a child. 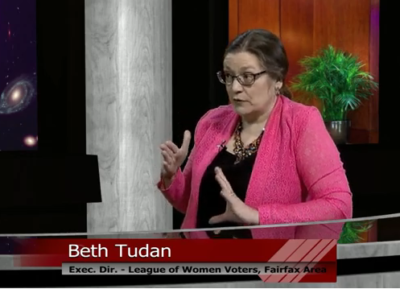 She strongly believes that all children in Fairfax should have access to a world-class education, no matter where you live or what your family circumstances are. Fairfax County Public Schools (FCPS) is the 10th largest school system in the country, with almost 190,000 students walking though the doors every day. It is a culturally rich and diverse community, with a socioeconomically diverse student body. 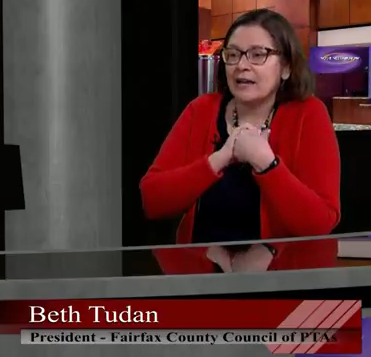 There are 48 Title 1 schools in FCPS, and Dalia mentions that it is important to understand the challenges and hurdles that these students face. She believes it is imperitive to put policies in place to make sure that these students are able to succeed. The One Fairfax policy that was recently adopted by both the School Board and the Board of Supervisors, is designed to look broadly from community services to education, to address the needs of our most vulnerable residents. Its purpose is to intentionally, comprehensively and systematically break down barriers that are creating gaps in opportunity (quote website). As a foreign language teacher herself, Dalia spoke passionately with Catherine about the importance of teaching languages to students in FCPS, especially the elementary students. As our children are being raised in a global economy, these skills are becoming more and more important. Currently, there are only 17 language immersion programs being offered in Fairfax County, where half of the school day (math and science) is taught in the target language. Dalia notes that there are specific challenges to maintaining these World Language programs, with recruitment and retainment of staff as one of the largest obstacles, but she would like to see increased access so more students can take advantage of these programs. FCPS is also looking into dual immersion programs in certain schools where there is a majority Spanish speaking population. There are currently 25 elementary schools that fit the profile for these programs. Dalia is also very excited about a new position that is being created this year, the Family and Student Ombudsman, to help students and families better navigate the school system. Armando Peri, a former principal, will serve as a chief problem-solver, who can review cases and help advocate for students who are experiencing issues from diversity challenges to special needs. The goal of this position is to bring parties together to come up with viable and effective solutions. Dalia continues to look for opportunities to help solve problems and bring students, teachers and parents together to make positive changes for the FCPS school system. (May 1, 2018) Catherine Read speaks with Rachna Sizemore Heizer about her son, Jake Sizemore, who is a local musician with special needs. Rachna speaks with Catherine about her journey as a parent navigating the system with a child with an autism diagnosis, and how she learned to focus on Jake’s abilities, instead of his disabilities, in order to discover his gifts. In 2004 at the age of 2, Rachna faced a doctor at Children’s Hospital who turned her world upside down. Her son Jake was diagnosed with low-functioning autism, and she was told to have “very low expectations” about what he could accomplish. Jake was non-verbal, and struggled with many things that the average child his age could master. The doctors provided her with limited resources, many of which were not at all helpful. Rachna felt lost and confused, as she attempted to navigate a system that was not designed for children like Jake. She acknowledges that things have changed quite a bit since then, as more resources have been developed to help families cope with this diagnosis and its challenges. She does know that parents are the best advocates for their children, and it is imperative that parents stay engaged in order to understand how their child can best thrive and succeed. As Jake grew up, he started school in the Fairfax County Public School System. Starting in second grade, all of his classes except PE, art and music were not integrated with the general school population. When the PE teacher came to Rachna to explain that they wanted to move Jake out of the general PE class, she raised the red flag and asked “why?”. The answer she received was that the class aid didn’t have enough time to spend with each special education student individually. Rachna then asked a very important question – “So, if Jake’s aid is busy, what is he actually doing during this time?” The PE teacher was very forthcoming, and shared that Jake would find another student, and observe them and then mimic the activity. Rachna pointed out that this was an extraordinarily valuable life skill in and of itself – learning to navigate a strange situation and follow along to keep up with his peers, something that does not happen in his other classes that are segregated. Rachna pointed out to the PE teacher that these soft skills help develop a child’s emotional intelligence and give them experiences that they need to succeed in life. For many years, Rachna struggled to find an activity or subject where Jake could connect and be happy. His older sister was a dancer, and after attending a recital, Jake shared that he wanted to be on stage. Rachna scoured the area to find a studio that would accept a child with special needs, and didn’t give up until she found someone who would work with him. Jake gave it his best shot, and they both learned that what he really loved was not dance, but performing on stage. Jake had always had a knack for picking up tunes and playing songs by ear on his toy keyboard as a child. 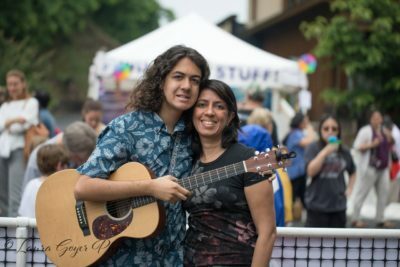 As Rachna paid closer attention, she found that he has a great gift of being able to play music, and he translated his love of the stage into performing live music. He made his way to Vienna School of Rock, and has been dazzling audiences for quite some time. With the benefit of hindsight, Rachna wants to point out to parents that she spent so much time trying to work on building Jake’s skills in areas where he struggled, that she was not always able to see where he shined. Once she was able to find that, Jake began to thrive and Rachna experienced joy in seeing Jake do what he loves. The ultimate experience happened when Jake was invited to Broadway to audition for the show School of Rock at the Winter Garden Theater in New York City. Rachna was so nervous for Jake, and when they arrived the stage managers took the musicians down to the audition stage unaccompanied. Rachna shared that Jake had autism, and might be uncomfortable all alone, and not sure what to do. The stage managers would not make an exception, and marched Jake down with the rest of the children. Thanks to Jake’s ability to observe and learn from those around him, he watched what was happening and figured out how to navigate the situation, a skill he picked up from that PE class so many years before. In fact, he performed so well that he was selected to appear on Good Morning America the next day. Thankfully, doctors and schools have made great strides since Jake received his diagnosis in 2004, but there is still much work to do. 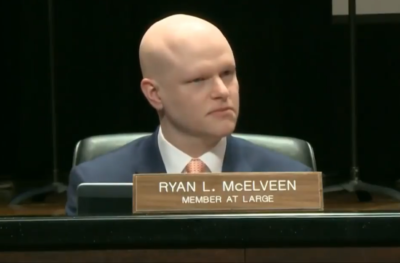 Rachna sits on the board of the Fairfax County Special Education PTA, as well as having a seat on the Fairfax County School Board’s Advisory Committee for Students with Disabilities. 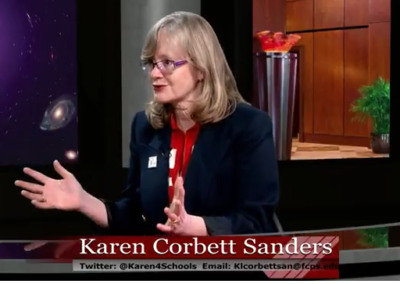 Her goal is to advocate for strong policies so support children with special needs in the FCPS school system. In this way, Rachna hopes to open doors and work with educators to help students with disabilities be able to realize their dreams. Additionally, Rachna is a Board Member of the Arc of Northern Virginia, where she focuses on creating more opportunities for people with disabilities to work and live independently. Jake continues to make music and bring joy to his audiences. (Mar. 12, 2018) Catherine Read speaks with community activists who are part of the Fairfax for All Coalition. These representatives are from local civic advocacy organizations that focus on supporting the immigrant community in Northern Virginia. Catherine speaks with Sookyung Oh of NAKASEC, Allie Boldt of Demos and Michelle LaRue of CASA Virginia. They all share important information about the work that they are doing every day to make our communities strong and safe for all residents. 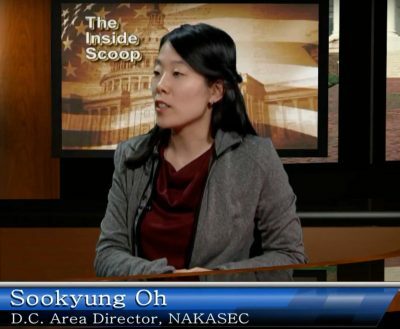 In the first segment, Catherine interviews Sookyung Oh, the DC Area Director of NAKASEC (National Korean American Service Education Consortium). NAKASEC began its work in Virginia five years ago, and current programs are centered on immigrant rights, civic engagement, and parent and youth organizing. NAKASEC VA’s work is focused on the most vulnerable community members, including low-income, recent immigrants, limited English proficient, undocumented, youth, women, and seniors. 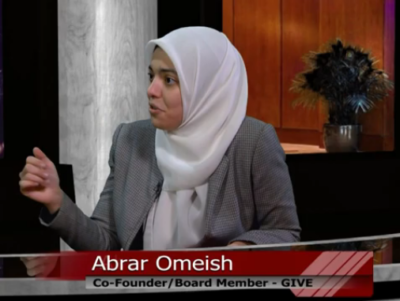 It is a nonprofit aimed at building an inclusive community by creating economic opportunities for all, breaking down barriers and bringing people together. NAKASEC took on two big legislative priorities this year. 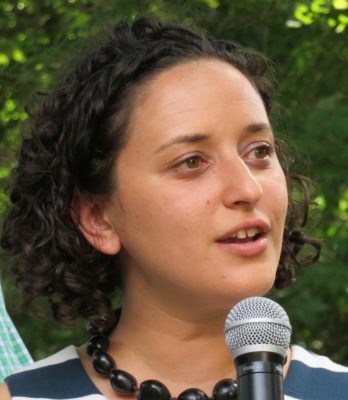 The first was advocating in Richmond at the General Assembly for a Driver’s Privilege Card for all, including undocumented immigrants. This would extend driving privileges to anyone who has been tested, trained and insured. Unfortunately this bill got killed in committee and never made it to the floor for a vote. Their second legislative goal was to extend in-state tuition to all eligible students who graduated from a Virginia high school. Currently DACA recipients are eligible for in-state tuition, but only after a full year after being granted DACA status. This bill would have loosened the strict requirements and opened up the doors for many more students to pursue a college degree at an affordable price. This initiative was also killed before getting to the floor for a vote. NAKASEC will continue to advocate for these benefits in the coming years. In the second segment Catherine speaks with Michelle La Rue from CASA Virginia and Allie Boldt of Demos. CASA is an immigrant rights organization that aims to organize, advocate for and expand opportunities for Latino and immigrant populations in our local communities. Demos is a non-partisan, national public policy organization working for an America where everyone has an equal say in our democracy and an equal chance in our economy. Boldt spoke about the fact that being an undocumented immigrant is not a crime, it is a civil offense similar to not paying taxes. Civil immigration enforcement is separate from the criminal law system. Demos focuses on pressing Fairfax County to end all unnecessary and unconstitutional collaboration with ICE. 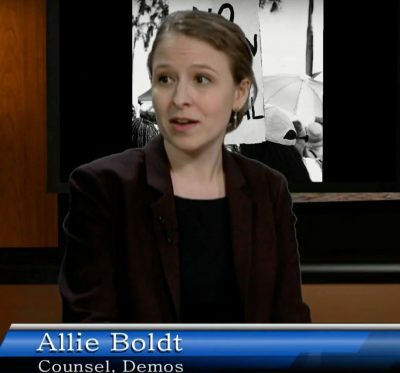 Boldt would like to see the end of the over-criminalizing of the immigrant community. She was pleased to see that Sheriff Stacey Kinkaid has agreed to stop honoring ICE requests to detain someone past their scheduled release date, and would like to see the Juvenile Detention Centers follow suit. 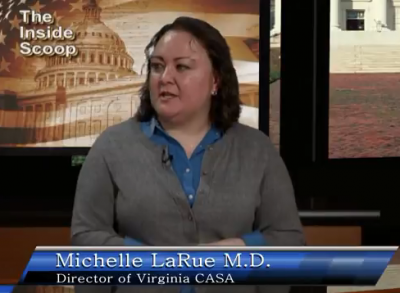 LaRue shared that CASA is intent on protecting confidential and sensitive information about community members. They aim for local officials to guard this data, instead of freely sharing information with ICE officials. This includes personal contact information and immigration/citizen status. She would also like to limit ICE agent’s access to county facilities like jails, schools and other public facilities. Another goal is to end the practice of arresting immigrants and bringing them into custody on misdemeanor charges, when other citizens would simply be released. The cumulative effects of the practices that CASA and Demos are aiming to eliminate actually have the result of making our communities less safe. Both organizations claim that the current policies of Virginia law enforcement’s unconstitutional collaboration with ICE breed mistrust and fear that endangers the safety, health and well-being of the entire community. Extensive research shows that, compared to counties that cooperate with ICE, counties that refuse to honor detainers have statistically lower crime rates, stronger economies and put less strain on social and mental health assistance programs. This is because there is greater trust and cooperation between the police and the communities when people do not fear being deported. In addition to NAKASEC, Demos and CASA, the Fairfax for All Coalition is comprised of La Collectiva, DMV Sanctuary Congregation Network, and ACLU People Power. They are working together to move the needle on regulations at individual agencies and departments like the Sheriff’s Office and Police Department, as well as through countywide ordinance. The Fairfax for All Coalition has provided Fairfax officials with the resources to update their regulations and pass an ordinance. Both Boldt and LaRue note that if these issues are important to you, than you should not hesitate in making your voice heard. Reach out to your Supervisor and share your stories, experiences and opinions. The next opportunity to speak publicly about this will be on April 3rd at the Public Safety meeting held by Sheriff Kinkaid. Check the CASA website and facebook page for more information as the date approaches.